A super sweet hand lettered Mother's Day card. 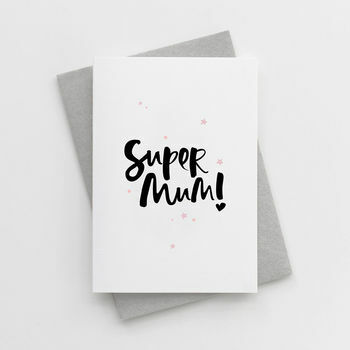 Our luxurious hand lettered greetings cards are made with a whole heap of love especially for Mum. 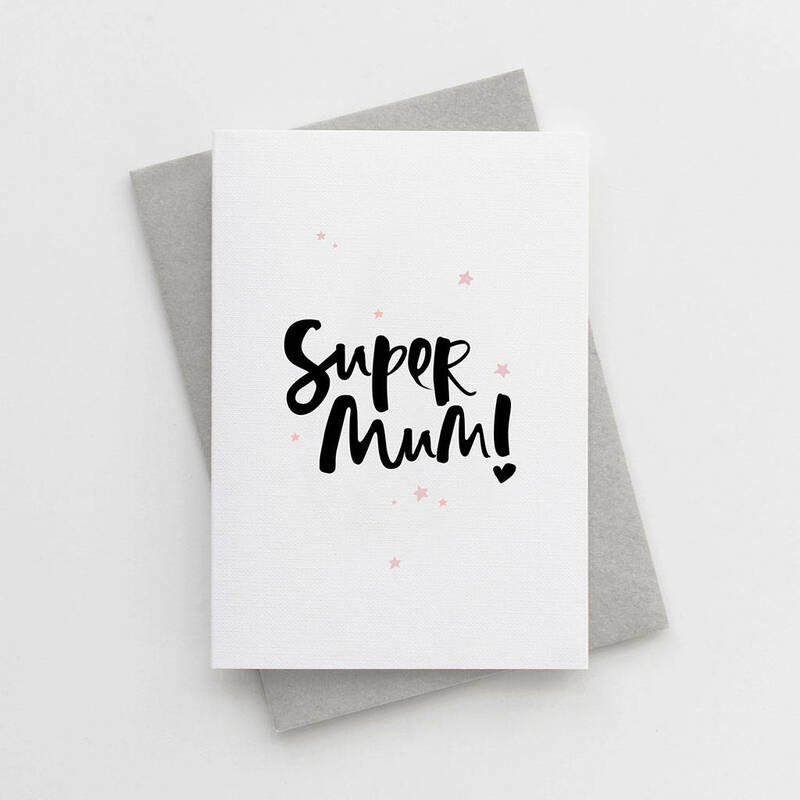 The perfect card to simply show your love this Mother's Day. Our unique, contemporary and eye catching designs are created by hand using a Japanese brush pen and rich, black Indian ink. Each design is then printed on luxurious FSC certified textured 350gsm card, teamed with a premium 120gsm envelope and finished with a beautiful hand cut liner.